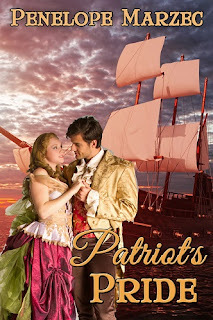 Margaret, the heroine of Patriot’s Pride, first appeared as the indomitable younger sister of Agnes in Patriot’s Heart. Margaret and her pet pig, Jonas, stole many scenes in Patriot’s Heart. I knew I had to give Margaret her own book and I am delighted I was able to do so. One fact, which initially inspired me to write the book, was the impressment of American sailors by the British even though the Revolutionary War had come to an end. Eventually, the practice turned public opinion against Britain, resulting in the War of 1812. I did quite a lot of research for the book and discovered many ways in which our world has changed considerably since 1784, which is the year Margaret embarks on a journey to England. I wrote a blog post on how recipes used to be called receipts. I wrote another on the sad statistics of surgery in those long ago days. I love research and am fascinated by the details of history. Naturally, once I read about the sad state of surgery in those days, it wasn’t difficult to imagine Derrick, a surgeon, who is haunted by his brother’s death. When his prayers went unanswered, he turned his faith to science. He believes studying with an esteemed surgeon in England will return meaning to his life. Then there’s Margaret, whose fiancé died at the hands of a doctor who bled him to death. On board the Prosperity, she meets the arrogant Doctor Fortune who considers her no less than a milkmaid. She considers him a butcher. Though she must journey to England to hear the reading of the will of her grandfather, the Earl of Broadcraft, she finds herself constantly confronting Derrick on his methods of healing. Yet, there is something about his soulful eyes that attracts her. When a British ship presses the Prosperity’s sailors into service, Margaret and Derrick must work together if they are to reach England. But can they ever learn to trust each other enough to allow love into their hearts? Below are the buy links! You can find Penelope at her website. The good ladies of Timber are ready to find a wife for their new single minister. Charles has ideas of his own when he meets Fiona, the lovely accident-prone and outspoken part-time librarian. Fiona, on the other hand is holding out for a knight on a white charger to carry her away from her humdrum small town life. Fiona and Charles are thrown together as they begin to solve an old mystery which has turned up in a library book. Will Fiona's white knight ever show up to sweep her away? Will Charles ever run out of invitations for cream cakes and lemon slice? Fiona might just discover the sound of hoof-beats when she least expects it. Post World War II in Canada...everyone has been affected somehow, whether family member or friend, and the new young single pastor in Timber has his own experience as an army chaplain. Fiona thinks of herself as a klutz and futureless. Young, naive, unsure, she’s not sure what to think when the pastor comes calling. Using a little mystery in a library book as the beginning of their courtship, McGregor paints a charming story of regaining a life of purpose, and finding a sure path to the future in this novella. 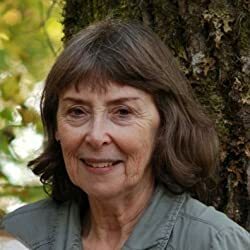 I enjoy this author’s stories and recommend them for readers who like clean and sweet bite-size romances for a vicarious adventure in historical Canada. Sharon McGregor is a west coast transplant from the Canadian prairies. Her imagination and story weaving got its start when she was an only child living on a farm. She's moved on from cowgirl dreams to romance and mystery, but hasn't lost her love for horses. When not writing or reading, she's busy with the two shops she shares with her daughter- an ice cream and candy store and a bath boutique. Kate and Vanessa hadn't planned on the summer night that changed their lives. Could they have imagined the darkness that descended and how gripping fear could be? The beauty and sweeping moss, gentle palm trees and Florida breezes was wrapped with the memory of that awful evening. Time steals away from the 60s, Kate and her husband return to the winter home where bygone memories are stored. Nestled next to her husband's strong frame they drive toward town. Watching the egrets, the salty smell and beauty surrounding them, she wonders if she should tell him...Kate never had. Maybe it was time he knew. Diane, what do you love about this book? Thank you for having me, Lisa. This book captures the experience two college bound girls have when visiting Kate’s uncle’s Florida home in 1966. The girls enjoy the sunshine, beach days in the quaint area, very rugged and nothing like the north. They also have an unforgettable experience which goes along with the era and time period. 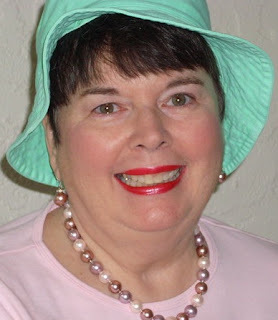 I loved weaving the sixties to present day, and dealing with a plot that revolves around their lives, and extending circumstances from the trip to Florida. Each incident comes full circle. I really enjoyed writing this book, as the Lord guided, giving me the ideas to share. Introduce us to Florida and share what makes the setting special. The setting is in a fictional town called Gladesville, much like the Everglades were in the 1960s. The prologue begins with Kate and her husband, recently retired going to her uncle’s home which he left to her, and she had not returned to after the traumatic night with her girl friend. Chapter one goes back to the 1960s, and several chapters later the story starts present day. Share two things you learned about writing/publishing process/history/yourself while researching and producing this story. What do you hope readers will tell others about the book? It’s a story that shares human mistakes, harboring hurt, a loss, God’s love and redemption. I do pray others who read it will see the way the Lord works out the details of our lives when we turn to Him, and how beautiful knowing that He is in control can be. It’s a book of inspirational romance and suspense. Although fictional there’s a lot of reality about the problems that took place during this time period in southern Florida. I’m final proofing a book called This Side of Heaven, which probably is my most suspenseful romance yet. I loved writing this. It takes place in present day rural Georgia. 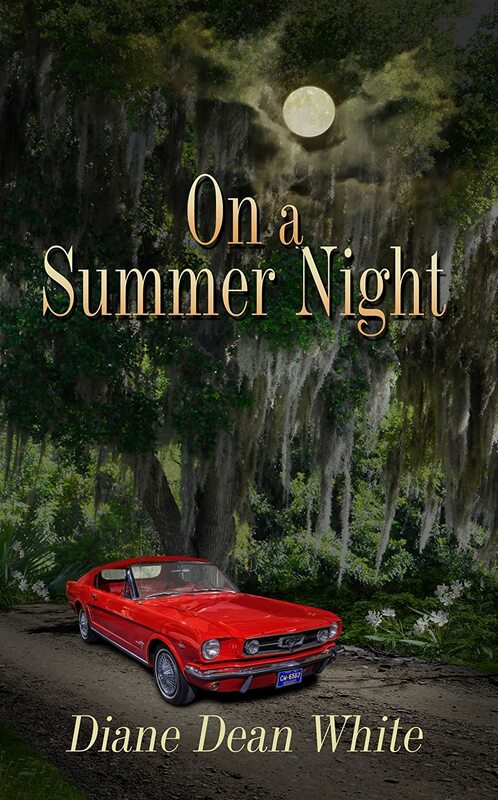 And two of my favorite characters from On a Summer Night are my lead characters in this one. We lived in a small Georgia town for a few years in the late 70s and I think I’m finally able to capture some of those feelings. The book deals with a loving newly married couple, a visiting aunt that left an old flame and moved away, the reality of teens making and selling drugs, a murder and losses. Throughout the story the main characters will touch your hearts and you’ll identify their love, their losses and God’s perfect timing in a world that is indeed NOT perfect until we get to Heaven. 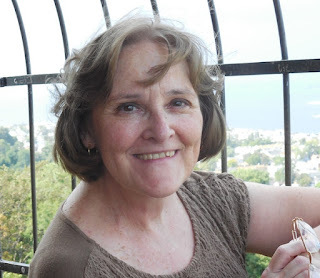 Diane started her writing at an early age, but it wasn’t until her husband’s work took them to a small southern town she wrote her first column, “Yankee Viewpoint's” for a local newspaper. Returning to her home-state of Michigan, she did stringer work over the years, ancestral history, and donor appeal letters for non-profit organizations. Diane self-published two books in the early 2000s, and she became a columnist for a weekly magazine, for four years. She is the author of over three-hundred short stories. Her book On a Summer Night was released in October and her ebook, Stories from a Porch Swing in April. Texting Mr. Right was released September 1 of this year, and re released in April 2015, and her Christmas novella, Winter Wonderland was available at the end of October. She and hubby, Stephen, have been married for forty-two years, and they are the parents of three grown children and three grand-gals. Look for This Side of Heaven in late summer 2015.